The next time you watch Home Alone and Home Alone 2: Lost in New York pay attention to what soda the McAllisters drink. In the first one Pepsi is the brand shown on screen. They even mention it by name: “Fuller, go easy on the Pepsi!” It’s pretty obvious product placement. But in the sequel the McAllisters are drinking Coca-Cola. I question Kevin McAllister’s brand loyalty. You are either a Coke person or a Pepsi person. You don’t switch between the two all nimbly-bimbly. Maybe it’s symbolic of his character growing and maturing, going from a lesser cola to a better one, but I doubt it. My guess is Coke was willing to pay more money to the studio. If you’ve ever gone to a real burrito place or taco shop, then you’re probably familiar with Jarritos, the popular soda brand from Mexico. They make a lot of fruit flavored sodas, but they also make cola, specifically Mexican Cola. They use real sugar, and it creates a more authentic cola taste. It’s sweeter than Coke and it’s less acidic. I want to say that it’s better than Coke, but brand loyalty won’t let me admit it. Let’s just say that if I had a choice between a can of Coke or a bottle of Jarritos, I would choose the Jarritos. 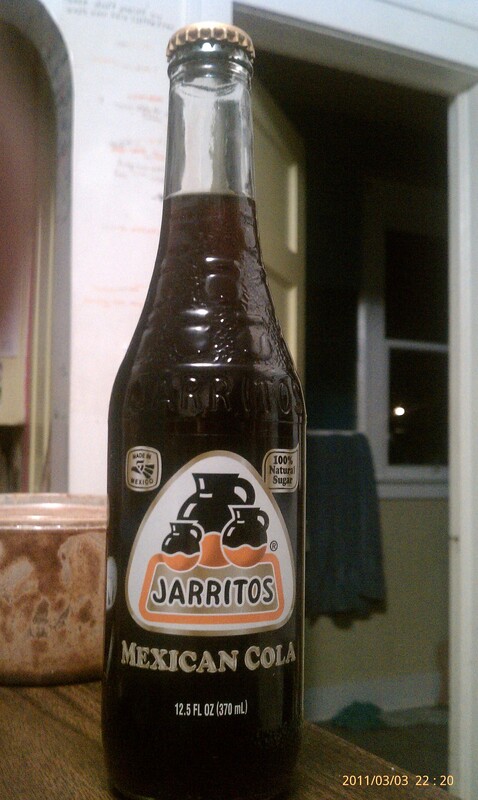 But if it were a choice between Jarritos or a bottle of Mexican Coke made with real cane sugar, I would choose the Coke. Either way, Mexico wins. But the real winner is real sugar. High-fructose corn syrup is not an adequate substitute.